May | 2014 | Mike Lamberti, From Margate To Cleveland, And Back ! His team had just lost an epic contest to Indian Hills in a battle of unbeaten teams in the Bergen County championship game. With her team trailing, 4-3, Maddie Levine of Indian Hills hit a two-strike, two-out, two-run homer in the bottom of the seventh inning as Indian Hills defeated Immaculate Heart Academy, 5-4, in front of a huge crowd in Saddle Brook. Head coach Anthony Larezza’s IHA team dealt with its first loss after 30 wins with class, knowing it was within a pitch of beating a 31-0 team for another county title. It was a game in which Indian Hills (32-0) had built early leads of 2-0 and 3-1 before IHA would rally with a pair of runs in the top of the sixth as Daniella Ibarra hit what appeared to be the clutchest of hits, a two-out, two-run single that put IHA ahead for the first time in the game, 4-3. “This one is on me,” Larezza said afterward. “I call the pitches. I called for a curve ball and (Levine) hit it. I should have called for the screw ball. I take full responsibility. “Our kids played great. I told them not to get down. We’ve got a game on Monday (at home, against Lyndhurst, in an independent game) and then we play on Tuesday, at Seton Hall (against Mount St. Dominic for the North, Non-Public A title). We know what it will take to get back to Toms River (for the Non-Public A championship on June 7). Just two hours after a one-run game between two teams that were a combined 61-0, came down to one pitch, Larezza was on twitter. “We will be home to Lyndhurst on Monday, 4 p.m.,” the tweet read. Another words, back to work. 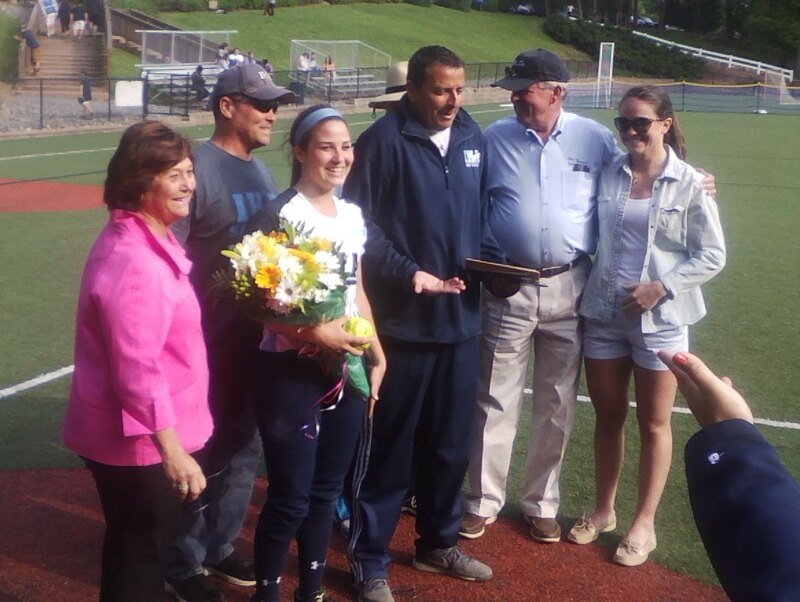 Immaculate Heart Academy coach Anthony Larezza was talking about his star pitcher StephThomas, after another record-breaking performance as IHA continued its quest toward a state championship. 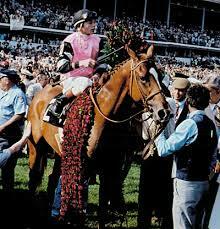 Thomas and Affirmed both look good with flowers. For the record, Thomas (AKA Affirmed) led her team to a 5-0 win over Paramus Catholic in the semifinals of the NJSIAA, North, Non-Public A tournament. IHA will face the winner of Friday’s Mount St. Dominic-DePaul game, for the championship next Tuesday, most likely at Ivy Hill Park in Newark. The shutout was Affirmed’s 68th, setting a new state record. The old mark (of 67, as Larezza reminded reporters afterward) had held for nine years, since Kristen Schindler of Caldwell established it. The win was also Thomas’ 112th, tying Schindler for the state’s all time record for career victories. IHA players enjoy post-game celebration. 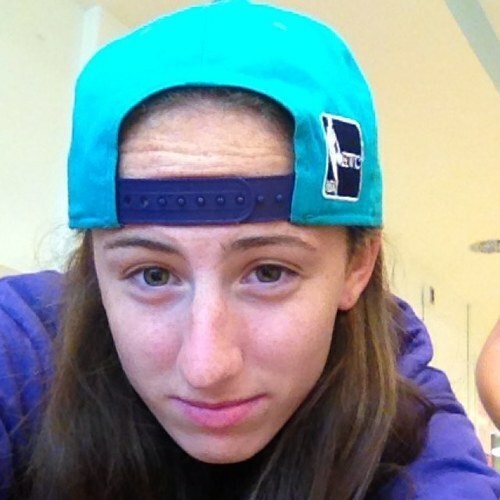 Larezza hopes that Schindler will be able to attend an IHA game before the season ends. 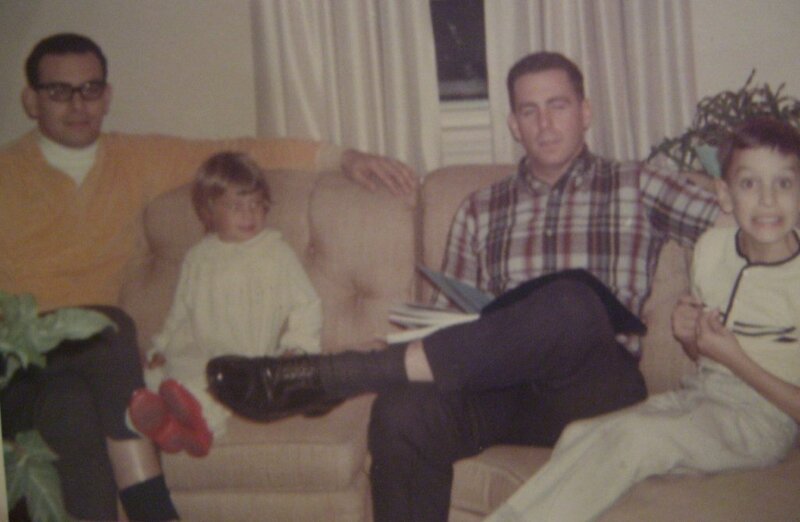 “Kristen was a great pitcher,” said Larezza, who remembers her well. Schindler’s Caldwell team edged Montclair Kimberley in the 2004 Essex County final, 3-2. 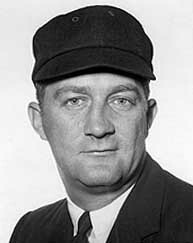 Larezza was Montclair Kimberley’s coach that season. When told that Thomas had passed Schindler’s mark for shutouts, Caldwell coach Mike Teshkoyan, who has been the team’s head coach for 28 seasons, was very gracious. Affirmed will have an opportunity to break Schindler’s win record on Saturday, when IHA takes on top-seeded Indian Hills in a much-anticipated game, for the Bergen County Tournament title. Thomas will take a 112-5 career mark into Saturday’s contest. Thomas kept a very good Paramus Catholic team off balance throughout the game. She gave up just one hit while striking out nine and walking none. At the plate, IHA’s leadoff hitter was 2-for-3, including a triple. She was the catalyst to a 3-run third inning after 2 1/2 scoreless innings. Thomas appreciated the post-game ceremony, where she received flowers for her latest performance. But she admitted that winning a county and ultimately, a state championship, is the only for she and her teammates. Thomas and coach Anthony Larezza enjoy a laugh during the post-game. IHA has a chance to finish as the state’s top-ranked team for a second time during Thomas’ career (it won it all in 2012) and third time since 2009. While winning a pair of state championships and finishing number one, last year’s team was also outstanding before losing in the state final. 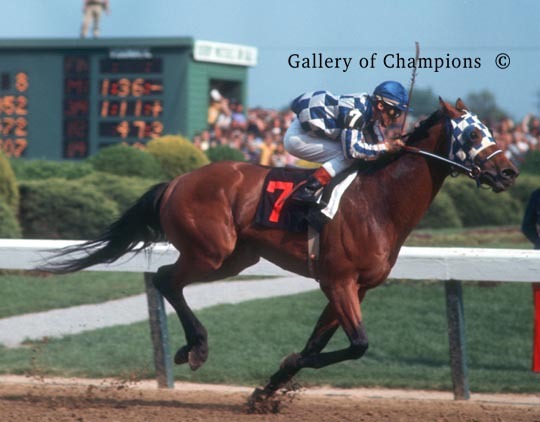 In the meantime, congratulations to Affirmed on another milestone. She’s a truly great player, talented, yet humble, determined, yet reserved. While there may have been a lack of the suspense which defined the last five Essex County Tournament softball finals, don’t tell that to Mount St. Dominic’s Olivia Gemma. ‘Forego’, as I like to call her, had seen her share of disappointing moments at Ivy Hill Park over the past three seasons. In 2011, she had pitched the Lions to the ECT final before MSD lost a 3-0 decision to Nutley. In 2012, Gemma was a key player on a MSD team which returned to the finals and lost a 2-0 decision to an outstanding Livingston squad. In that game, Sam Platt pitched very well for the Lions, but Gemma was still a force in the lineup. Last year, Gemma put together two tremendous days at the ECT. In the semifinals, she hit a legendary three-run homer in the sixth inning as the Mount rallied for a big win over Cedar Grove. The following day, she hit a two-run single in the first inning as the Mount took an early 3-0 lead over Livingston. Gemma was a force at the plate in that game, so much so that Livingston, after gaining a 5-4 lead in the seventh inning, was trying everything it could to avoid pitching to her. (Many felt Gemma was the best player on the field during those two days). 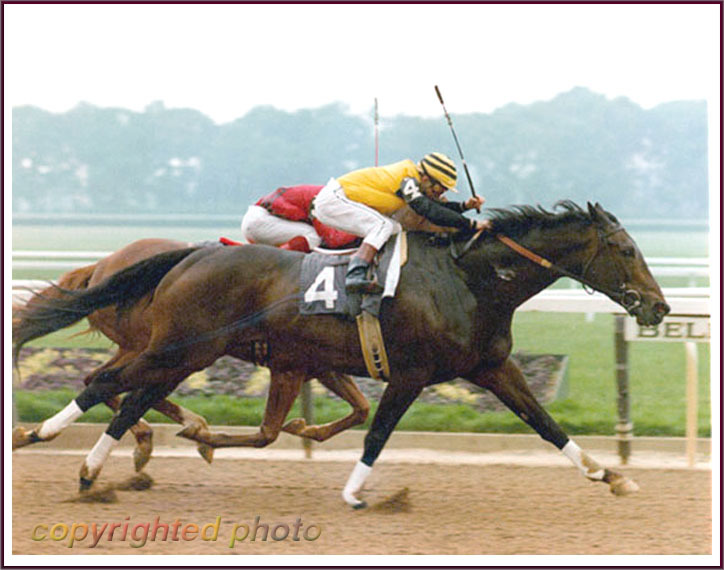 The great Forego back in his hey day. 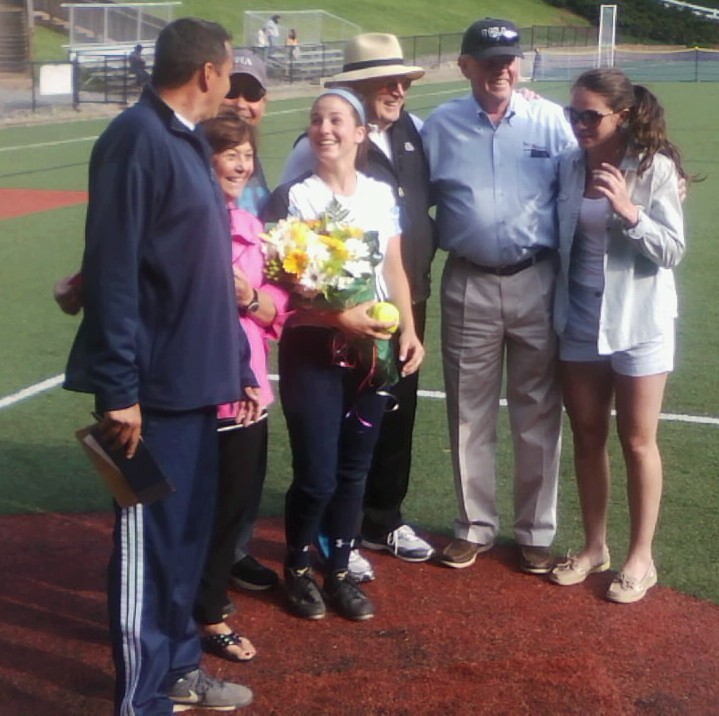 In 2014, Gemma’s two-run double in the first got her team off and running and Mount St. Dominic won its first county crown in five years over Cedar Grove, 10-0. The suspense may have been different in 2014. For the first time since 2008, when MSD blanked Cedar Grove, 7-0, the title game didn’t, in essence, come down to the final inning. The Mount had edged Cedar Grove in 2009, 3-1, and in 2010, Cedar Grove got by West Essex, 2-0. The 2011 final was a three run game and the two finals between Livingston and the Mount came down to a big play late in the respective 2012 and 2013 contest. Most fans had expected to see Mount St. Dominic and Livingston play for a third straight season in the final. But Cedar Grove changed all that, when it rallied for a pair of runs in the top of the seventh, to surprise the top-seeded Lancers, 5-4, in the quarterfinal round. Gemma pitching for the Lions. The team’s depth in the circle in 2014 made her its starting first baseman this season. While there have been some tough defeats at Ivy Hill, MSD’s record there since 2011 is a very respectable 5-4, which includes a 1-0 loss to Immaculate Heart Academy in the Non-Public A final in 2013, as well as the two wins there this year in the semifinals and finals. Mount St. Dominic not only won the ECT for the fifth time in its history (all under head coach Lorenzo Sozio) it also won the Super Essex Conference American Division title for the first time in three years, finishing 13-1 in the rugged division. There was some irony in that 2011 semifinal game against Cedar Grove, since the Panthers started sophomore Gabby Castelli, but later inserted a freshman who had missed most of that season with an ankle injury. That player was Platt. Gemma could make one more trip to Ivy Hill if MSD makes it to the North Non-Public A final again this season. The championship game for the North Non-Public A and B sections have been contested there the past few years, but the site may not be guaranteed this year. If last Monday’s game marked her last visit there as a high school player, she’s fine with that, too. Gemma, who is president of her senior class, will graduate this coming Sunday. The eldest daughter of Angela and Mike Gemma, Olivia’s softball career will continue on the next level. 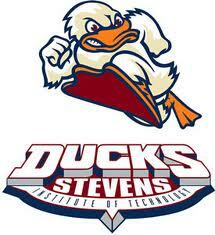 A tremendous student, Forego is heading to Stevens Institute of Technology, where she will probably return to the circle and pitch for the Ducks. 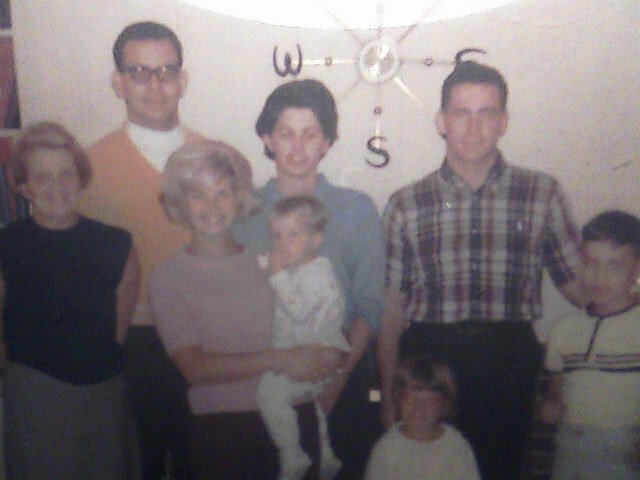 I was 8 years old on Saturday, Jan. 21, 1967 when a knock on the door of my grandmother’s house in Margate, NJ would change our family’s life forever. My parents decided to visit my grandmother, as well as my aunt and two young cousins for essentially, the day. It was about a 2-hour drive from our then-home in the Ivy Hill section of Newark to Margate, and in January, there’s not much traffic on the Garden State Parkway, so the drive was uneventful. 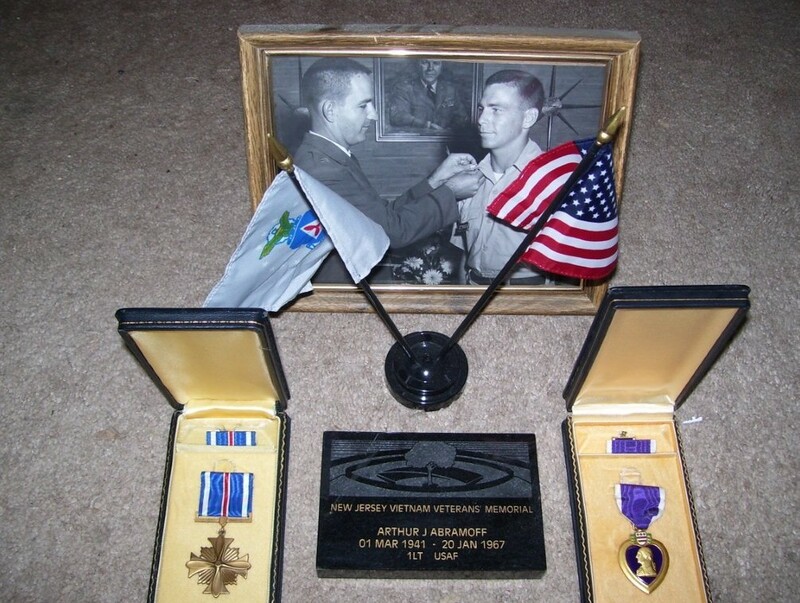 The Chaplain delivered a letter, essentially saying that the aircraft which 1st Lt. Arthur J. Abramoff (Uncle John to me) was piloting on Jan. 20, 1967, was shot down over Vietnam. Despite valiant attempts to save him, Lt. Abramoff was killed in action. His body was recovered and would be flown back to the United States. A second crewman aboard that flight, a United States Army officer, survived the crash. Saying thank you is not nearly enough. There’s never a dull moment when it comes to a trip to Immaculate Heart Academy. The school’s highly successful softball coach. Anthony Larezza, is a whirlwind, shagging down foul balls, taking the occasional phone call, teaching his players about history and quoting famous lines from classic movies and television shows. (Usually ‘The Godfather’ or the ‘Sopranos’). 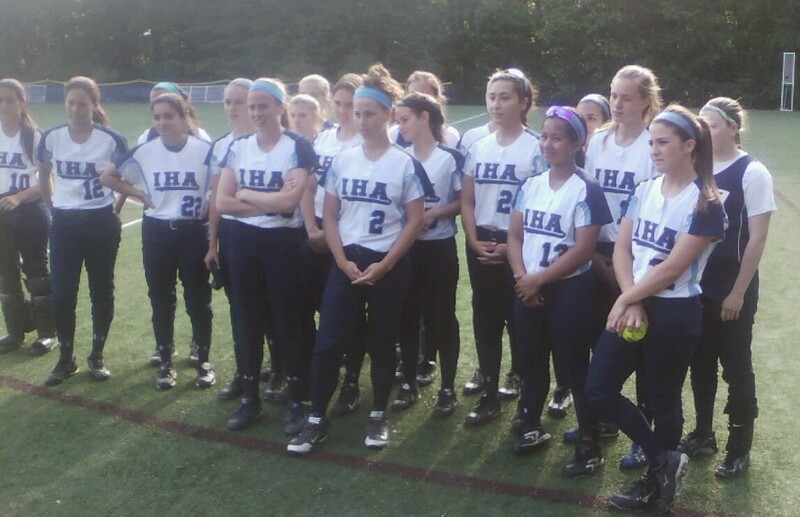 IHA generally hosts the Bergen County Tournament softball quarterfinal round, and today was no exception. Larezza’s team, the defending champion, played the first of four games, so the coach had the rest of the day to oversee the tournament as a site director, as well as meet and greet members of the media, players parents and, of course, the legendary Ed Bates. Larezza, sitting at the spot of his famous Memorial Day speech of 2010. Rain, or shine, he’s always at the forefront when it comes to IHA softball. 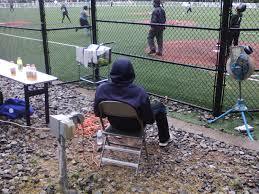 Nestor Chylak, a legendary Major League umpire, will always have a seat at an IHA game. I relayed the message to Larezza, who smiled, looked at me and said about the ump, “Who’s he, Nestor Chylak?”, referring to the legendary Major League umpire. The ‘Memorial Day’ speech always comes up. It goes back to a IHA game against Livingston in early April of 2010. The Lancers played Larezza’s team in the annual IHA Tournament, and had won a 1-0 decision. Larezza recalled a game in 2010 when Livingston’s Jess Peslak (28) beat his team with her bat, and not her arm, leading to the Memorial Day tirade later in the day at IHA. Bear in mind, IHA had won the 2009 state championship a year earlier and had finished as the state’s top ranked team. So when it lost an early season game to a good Livingston squad the following spring, Larezza wanted to send his team a message. He carried on a conversation with a former IHA player, in clear earshot of a few current players, who were sitting a little to the left of home plate. Anyway, this year’s visit brought about a comparison to a former major league pitcher, when he saw someone at the game wearing a baseball jacket. “Who’s he, Jerry Ruess?” Larezza said. 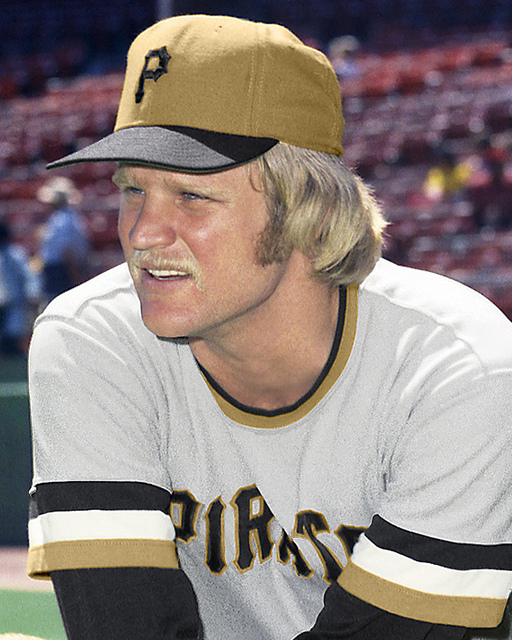 Larezza couldn’t believe he actually remembered Jerry Reuss, and quickly, the conversation sparked a debate on how good Reuss was. When told that the former Cardinals, Astros, Dodgers and Pirates pitcher won over 200 major league games, and had a career era of 3.64, Larezza was impressed. “Hall of Fame numbers to me,” he said. Larezza then talked about a chicken or a pig, and which animal analogy worked better for his players when it came to team work and sacrifice. “When producing a dish made of ham and eggs, the pig provides the ham,” Larezza said. 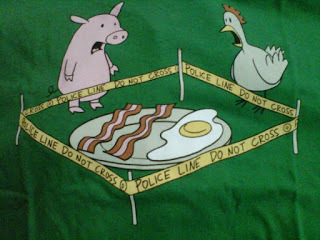 “That requires (the pig’s) sacrifice, and the chicken provides the eggs, which are easy for the chicken to produce. 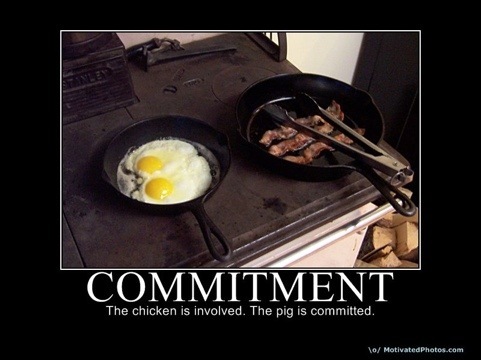 The pig is really committed in that dish while the chicken is only involved, yet both are needed to produce the dish. Larezza loves to talk about the chicken and the pig analogy to his players. Horse racing analogies always come up. I call his pitcher, Stef Thomas, Affirmed, because she’s a stud player. 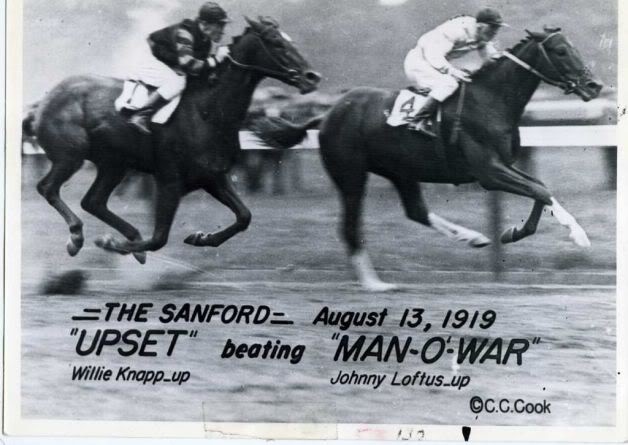 Larezza likes to talk about a horse named ‘Upset’ and how that horse once defeated the great Man O’War in a 1919 race. “That’s where the term ‘upset’ came from in sports,” Larezza said. When a rain delay occurred in the tournament today, Larezza saw it as a good opportunity for the IHA concession stand to make an extra sale, or three. Always the politician, Larezza thanks a local writer for “the great interviews”, even though he admits the writer asked and answered the questions, not giving the coach much of a chance to respond. 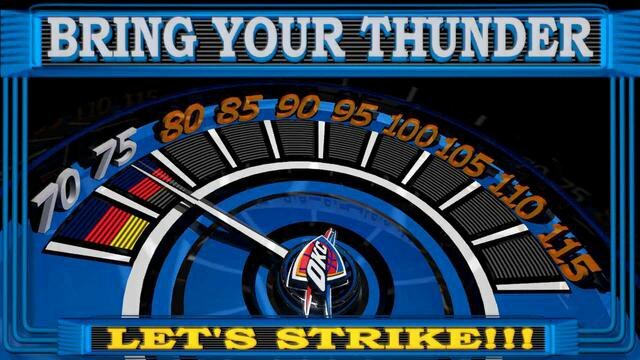 When the umpire thought he heard thunder, necessitating an additional 30 minute delay in a quarterfinal game today, Larezza quickly tried to explain that it wasn’t thunder, and that he knows about thunder. But that didn’t work. The game was postponed until Sunday. Just another day at IHA. Sammi Rothenberger of Livingston, (AKA Riva Ridge) has had a tremendous high school athletic career. She will finish with 12 varsity letters over four years, playing high quality soccer, basketball and softball, where she plays shortstop and bats cleanup in the lineup. 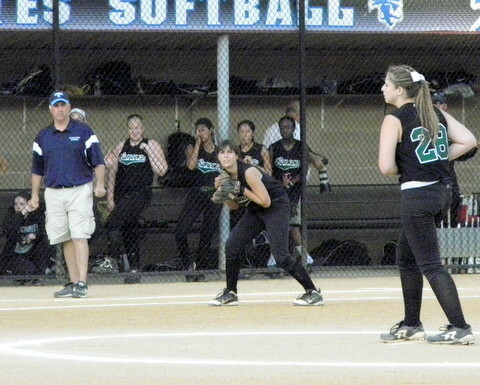 Sammi Rothenberger makes a throw to first in a 2013 game as Rachel Wasilak watches. 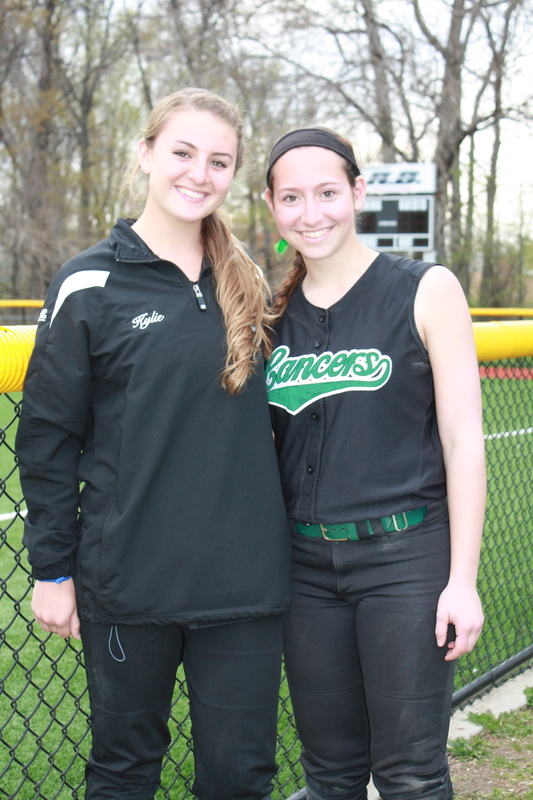 The two Livingston teammates will be reunited at William Paterson University this fall. Riva Ridgewill attend William Paterson University this fall, where she’ll play softball and be reunited with teammate Rachel Wasilak, who just finished her freshman season at WPU this spring. (Wasilak was the FMTC Essex Player of the Year in 2013). While she can’t wait for college, Rothenberger, like most high school seniors around this time of the year, is seeing the end of a wonderful time in her life, and admits being nostalgic. “If we win on Tuesday (against Roxbury in the state tournament) and (Morris) Knolls wins, that means it’s my final home game,” Rothenberger said, referring to the fact that the Lancers would play at Morris Knolls in a sectional championship game, based on her scenario. Rothenberger led Livingston to the SEC, ECT and state sectional championships in 2012 and 2013. This year, the Lances are 20-5, and while they won’t win a third straight county and conference title, they’re very much in the mix for another state sectional crown, and possibly beyond. 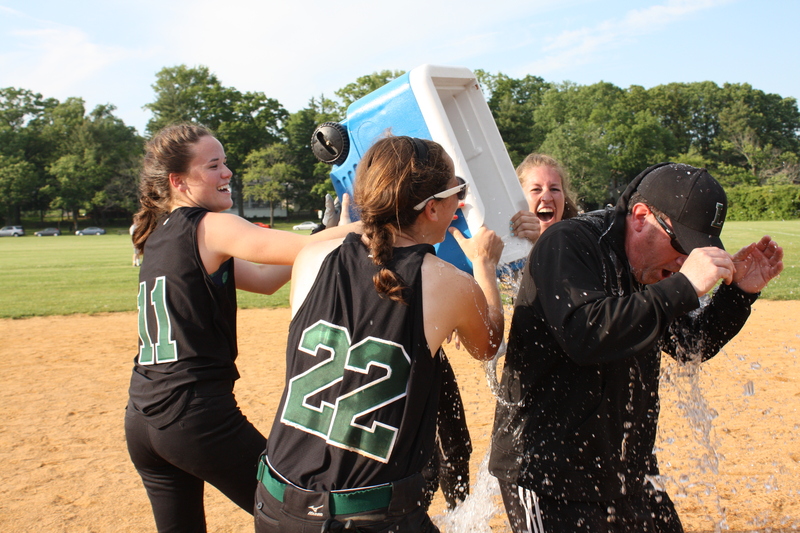 Rothenberger (22) dousing coach Jason Daily after the Lancers won the 2013 state sectional title. She hopes to enjoy a similar celebration later this week. “We’ve got some big games coming up,” said Rothenberger, who has been battling a knee injury all season and is looking forward to rehabbing the injury for the fall campaign. “I feel like I’ve been playing pretty good defense, but I don’t think I’ve hit as well as I’d like to. We’ll see what happens this week. Following a night of heavy rain, it was anyone’s guess if Mount St. Dominic could play its game, at home, against Morris Knolls today in Caldwell. The game went off as scheduled, with a well played game eventually won by Morris Knolls, 3-0. It was a good test for both teams, which face big state tournament contests this coming week. And with Memorial Day weekend, it’s easy for the players to get distracted, so playing a high-quality high school softball game can certainly help both teams. Before the game, Mount St. Dominic held a small ceremony to honor its seniors. The Lions players also presented yellow roses to their Morris Knolls upperclassmen counterparts. Following the game, the Mount parents had pizza and other snacks for players on both teams. It was a very well done event. If it weren’t for the hard work by Mount St. Dominic coach Lorenzo Sozio, who is also the school’s athletic director, I seriously doubt this game would have been played after last night’s rain. Guaranteed, Sozio was working on that field at 6 a.m., to have it ready for a noon time start. Sozio is generally the guy who lines the field for all home games, anyway. As an athletic director at a relatively small private school, the man wears a lot of hats when it comes to the facilities, as well as scheduling and all the other intricacies that go with running a high school athletic program. Anyway, Mount St. Dominic will play in the Essex County Tournament final on Monday against Cedar Grove, then will take on Union Catholic in a first round NJSIAA contest the following day. A big showdown could be in store this coming Thursday, when (assuming it defeats Union Catholic) DePaul comes to town for a Non-Public A semifinal. Here is the updated FMTC Top 10. The rankings won’t change, irregardless of who wins Monday’s county final, other than a change in the won-loss records of the finalists. There could be adjustments, however, as the state tournament progresses. STUD WATCH: No new studs for this week….Here’s the current stable. Some of the horses are done racing for the season, however, but most will be back in 2015. Kylie McLaughlin didn’t get the name Seattle Slew without performing like the stud player she has been, since breaking into the starting lineup as a sophomore at Livingston High. Now, as the senior’s high school career begins to wind down, McLaughlin knows it’s time for her team to break out of its recent doldrums. In a North Jersey, Section 1, Group 4 quarterfinal today, Slew was a force at the plate, on the base paths, and on defense as Livingston rallied from an early 2-0 deficit to beat an aggressive Bloomfield team, 6-3, at the Stable in Livingston. Kylie McLaughlin and Alexa Altchek had big games today for Livingston, as it advanced in the NJSIAA Tournament. Livingston (19-5) will advance to the sectional semifinals, as it attempts to win a third straight state title next Tuesday. Meanwhile, it hopes to get a few games in before next Tuesday, as the rust from being off the past five days was evident early on against Bloomfield. McLaughlin, who was 3-for-4 on the day, got Livingston on the board in the first inning when she singled and later scored. Bloomfield appeared to have command early on, but when Livingston pulled off a double play in the third inning, the momentum clearly turned in the Lancers favor. And when Slew reached on a clean single in the third, she may have set a record for the quickest score. After reaching on a single, she actually came around to score, on a bunt by Marina Lombardi. Later, McLaughlin made a diving stop at second base on a hard grounder and threw to first for the out which ended the sixth inning. In her fourth at-bat, she lined out to third, but admitted that might have been the hardest hit ball she’s clubbed all season. Livingston also got a good game from Alexa Altchek, who was 2-for-3 and drove in a pair, Yinka Fasehun, who had a big triple which set up a run and Ana Chambers, who doubled and drove in a run. Winning pitcher Sami Passeri shook off some early struggles to pitch very well. The junior struck out 10, walked three, and scattered four hits. Daily was happy with the win, but noted that a lot of work needs to get done. For the fifth time since 2008, Mount St. Dominic and Cedar Grove will meet in either the Essex County Tournament semifinal, or championship game. This time, it will be for the championship of the 37th ECT, marking the third time since ’08 the teams will play for the title. The Lions and Panthers will meet on Friday, May 23, at 7 p.m. in legendary Ivy Hill Park. Mount St. Dominic has had the upper hand with Cedar Grove in the ECT, winning the title over the Panthers in 2008 and 2009, as well as the 2011 and 2013 semifinals. Last year’s semi was a classic, a game Cedar Grove appeared to have won before Olivia Gemma hit a dramatic homer in the sixth inning. The Mount clinched a berth in its fourth straight ECT final and seventh in the past eight seasons, by defeating a feisty Caldwell team today, 9-6. Cedar Grove jumped out early in its game with Nutley and went on to a 10-4 victory. No question that Cedar Grove is the hottest team in the tourney. The Panthers improved to 13-12 and won for the seventh time in its last eight tries in the semis. It also defeated Nutley for a third straight time in 2014. Cedar Grove, the ninth seed, is hitting, literally, on all cylinders and its defense was superb against a hard-hitting Nutley team. Second seeded Mount St. Dominic (23-3) continues to hit the ball very well. Sam Platt had five RBI, including a three-run homer, in the win over Caldwell while Helyna Bissell also homered for the Lions. Platt was the winning pitcher in relief. Mount St. Dominic coach Lorenzo Sozio will seek his fifth county championship since 1996, while Cedar Grove’s Ray VanderMay looks for his fourth title. VanderMay last led Cedar Grove to a championship 30 years ago, when it stopped two-time champion Belleville, 8-5, in the final at Pulaski Park. There’s much more to come during the week on this matchup. In the meantime, here’s the updated Top 10. 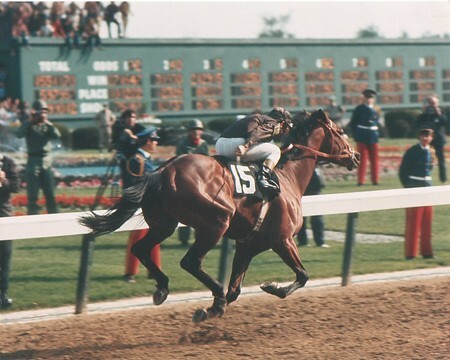 Forty three years ago, Canonero II won the Preakness and set the stage for a possible Triple Crown. The original Canonero II dominating in 1971. Today, West Essex’s version of a tremendous competitor stepped up like a stud should, pitching eight solid innings. Freshman righty Sami Huetter also helped herself at the plate, and the Knights got some solid offensive performances from Alexa Vardiman, Jenna Salluce, Madison Gemma and Kelly Cousoulis, along with a tremendous catch by Bridget Betley to account for a come-from-behind 7-6 win over Parsippany Hills in the first round of the NJSIAA, North Jersey, Section 2, Group 3 tournament. West Esesx (16-7), the second seed, had its hands full with 15th seeded Parsippany Hills, as it trailed 5-2 in the sixth inning before scoring three times to tie it. (Parsippany Hills had scored three times in the top of the sixth). The Knights will face a familiar foe in the next round, when it hosts Nutley in the sectional quarterfinals early next week. West Essex has beaten Nutley twice in SEC play. Huetter, Vardiman and Salluce each had two hits for West Essex and Huetter was outstanding in the circle, especially after her team fell behind, 5-2. West Essex tied it in the sixth at five, with Gemma’s two-run double a big part of the rally. An injury to first baseman Kate Jencarelli forced Mondadori to make some adjustments to her defense. She moved Gemma from right to first and inserted Betley in right field. Betley, another in a long line of talented West Essex freshmen, made an outstanding shoe string catch, with a near-perfect slide, in traffic, no less, to take away a possible double that would have led off the seventh inning for Parsippany Hills. The Knights, which were playing its third straight extra inning game this week (all of which were victories) then won it on Cousoulis’ game-winning hit in the bottom of the eighth.